On this spot where Kathryn MacDougald's terraced hillside garden once stood is a large, two story stucco house, painted a dark khaki color. The new house overlooks a field which used to be the venue for family softball outings and visiting children's games of tag, but is now a fenced in pasture with horses. The charming log cabin where Kathryn lived has a new home somewhere in the mountains. Never did I imagine that such a change would take place. Not that it is all that bad. It's just that the garden Kathryn made, securing the sloping terrain with rocks she hauled from a burned down historic mansion a half-mile away, was in constant bloom all season long. It was always fun to see what was coming up - foxgloves and baptisia and poppies in spring, black-eyed susans of all types in summer, and ironweed, patrinia and Joe Pye weed in fall. To think that there remains not so much as a vestige of the hundreds of different plants - perennials, herbs, roses, bulbs, shrubs, vines and trees - is hard to imagine. 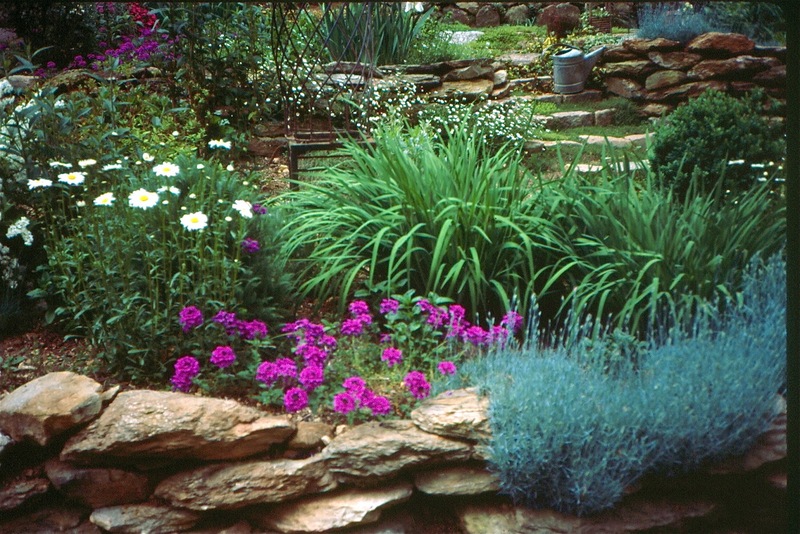 At one point, the garden was chosen as a feature in Fine Gardening magazine. And, it was the site of at least two weddings. The last one took place when the garden was filled with blindingly colorful poppies. Commercials for television were also filmed there. When we first started A Gardener's Diary on Home & Garden Television, we taped a prominent scene in the show's open in the garden. I have to mention that I was the lucky recipient of plants from the log cabin garden. I brought blue hostas, two peonies, several Annabelle hydrangeas, a cinnamon fern that had a beautiful pink trillium attached and some maroon-colored Louisiana irises I had coveted. There's also a serissa that I'm crazy about and hope to do as Kathryn did, and train the finely textured evergreen shrub onto an obelisk. Many people came to dig when Kathryn dismantled the garden, so her plants are in gardens far and wide. Being crazy for rocks, she's also saved the large ones you see here, in addition to the cobblestones that had paved the circular driveway in front of the cabin (Kathryn built the drive herself out of the giant "loaf of bread" type stones that came from Europe as ballast on ships. I can barely pick up one, and she handled thousands). I miss this garden, but, that's just how life is. 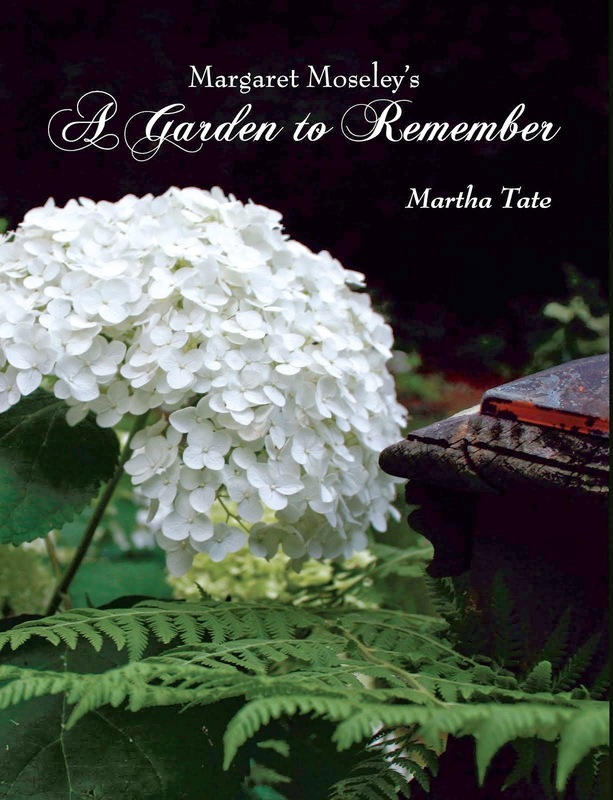 Time has marched on, and Kathryn is now on her third garden since the one pictured above. Lucky for me, she's once again just around the corner, and I get to see what she's up to. There's always an interesting fern, or a new ground cover or unusual perennials to exclaim over. One thing is for sure. She will always make the place she lives a little (or rather, a lot) better. Once a gardener, it's hard to get it out of your system. This is beautiful, in photos and memories! I can sure understand you (and others) missing this particular one, having played a part in the episodes of A Gardner's Diary, as well as life for the gardner, friends and family. Thankfully, as you say, she is very creative! Glad for the garden's "rebirth" (or life continuum!) in the new venue she created, and in your own garden! Yet, there is something about the original space, the resonance of that "former" beauty there in particular, that is so congruent, so perfect in time and place, it lingers. It's nice to remember. Thanks for your sharing it. Larry, What beautiful poetry you write in your comment. Thank you so much.